I never tire of listening to tales about my husband’s formative years. Growing up on 3 acres, his family raised much of their own food. At the age of 12, Jack planted a corn field which started his first entrepreneurial endeavor by selling his product to local vendors. He built barns with his Dad, canned peaches from their orchard with his Mom and raised rabbits. Me, on the other hand, grew up as an east coast city girl, enjoying regular trips New York City for Broadway shows and to shop (of course)! Jack grew up “playing in the dirt” so organic gardening comes very naturally to him. In this post he is offering some practical tips as my guest blogger. Enjoy! All gardens need a few essentials to produce bumper crops. Successful gardening techniques are really quite simple. Most of the hard work is early on in the preparation and planting stage. If you pay close attention to a few important ideas you will amazed at how much enjoyment gardening brings and how much your garden will produce. Even the smallest city plots can feed a family all summer. Tip: Never use lawn clippings that have been treated with any type of weed & feed products. Tip: Coffee grounds are a great addition to soil and foster earth worm habitat. 2. Crops that grow best in our area are nearly all of the root vegetables and pretty much everything else that will grow in a 90 day season. Things like melons and cantaloupes typically take a growing season of 100 to 110 days or more and are more difficult to bring to maturity before the early fall frosts. 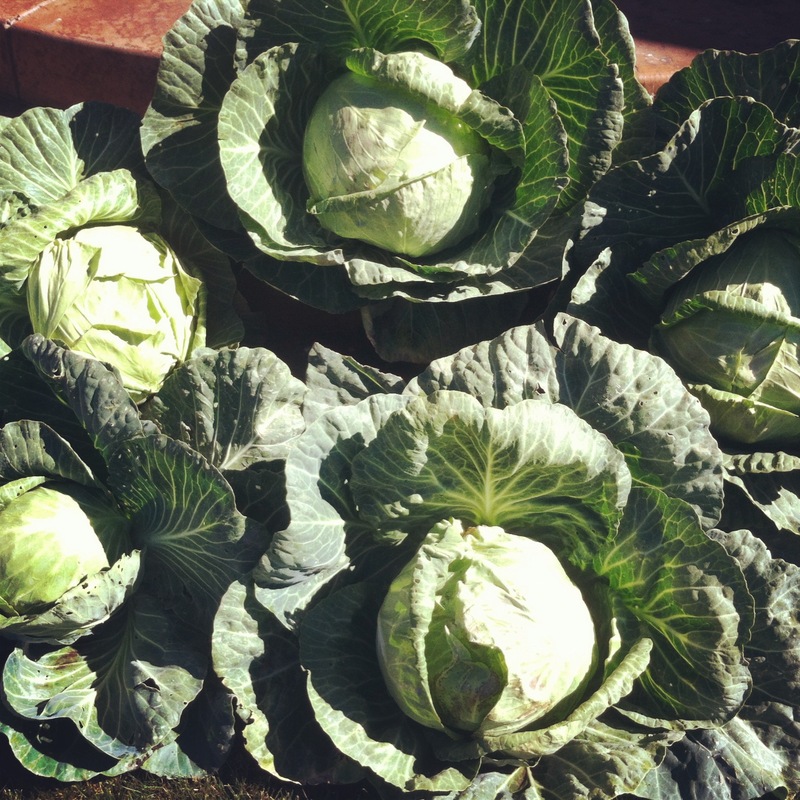 Anything in the cabbage family (Brussels Sprouts, Kol Rabi, Kale) is prone to aphids (see pest control tips at the end of this article). Early crops that like the cold spring days are nearly all greens and radishes and can be planted in early April and replanted throughout the summer and fall. Tip: Soak your corn in water for two days before planting and if you are wanting to kick start these seeds mix in a small amount of manure (like a light broth). 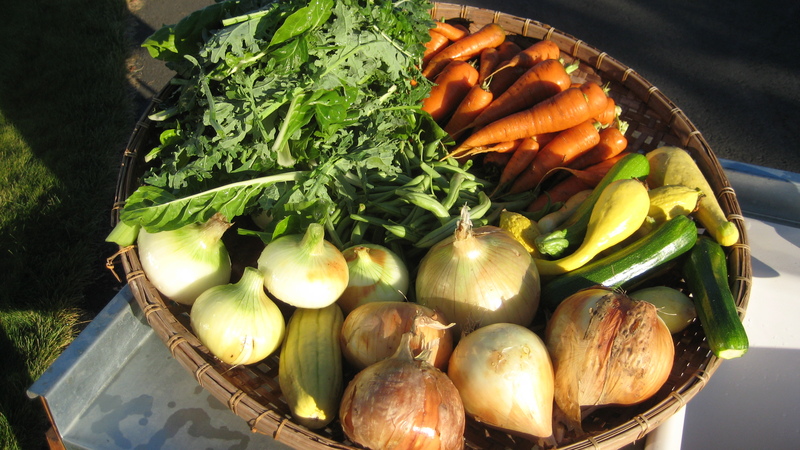 Note: Crops that will winter over are squash, carrots, onions and potatoes but must be stored in a dry, dark, cool place (constant 50-55 degrees) Cover carrots with straw and dig them up all winter and spring. 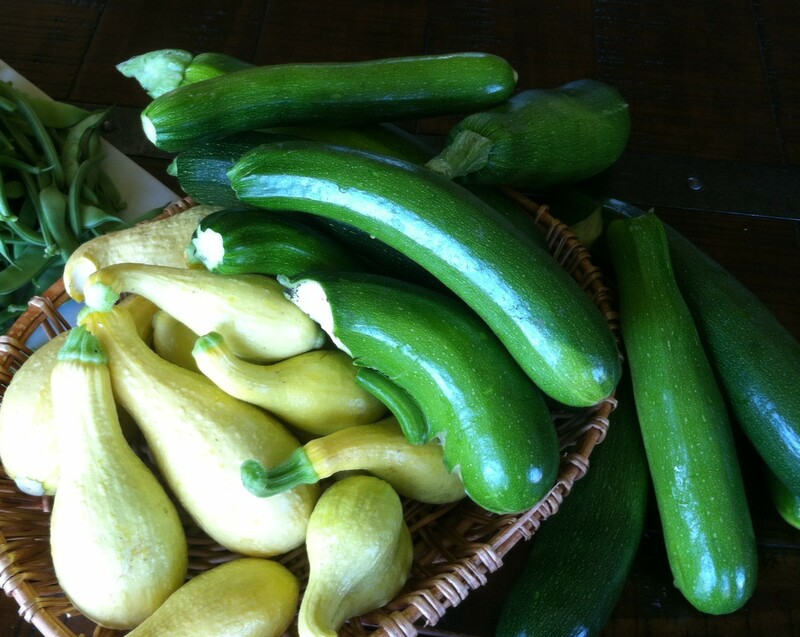 Good Producers We like to grow vegetables that produce early and throughout the summer and fall. These are all greens like leaf lettuce, Zucchini, Crook neck squash, Chard, string beans and Kale. What we don’t give to friends we put in the freezer. 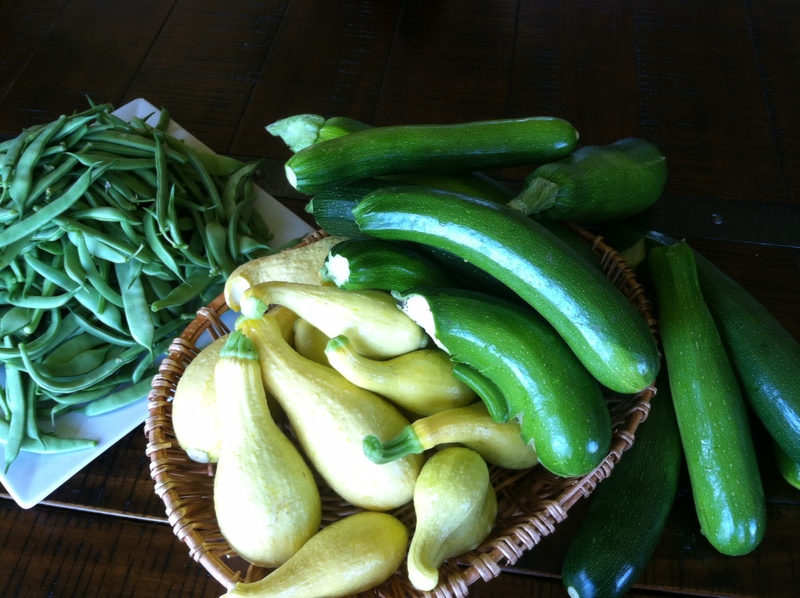 In fact we eat from our garden year around. Tomatoes, pole beans , squash/pumpkins do well alongside a fence or deck rail where you can string the vines up and thereby minimizing the ground space required. 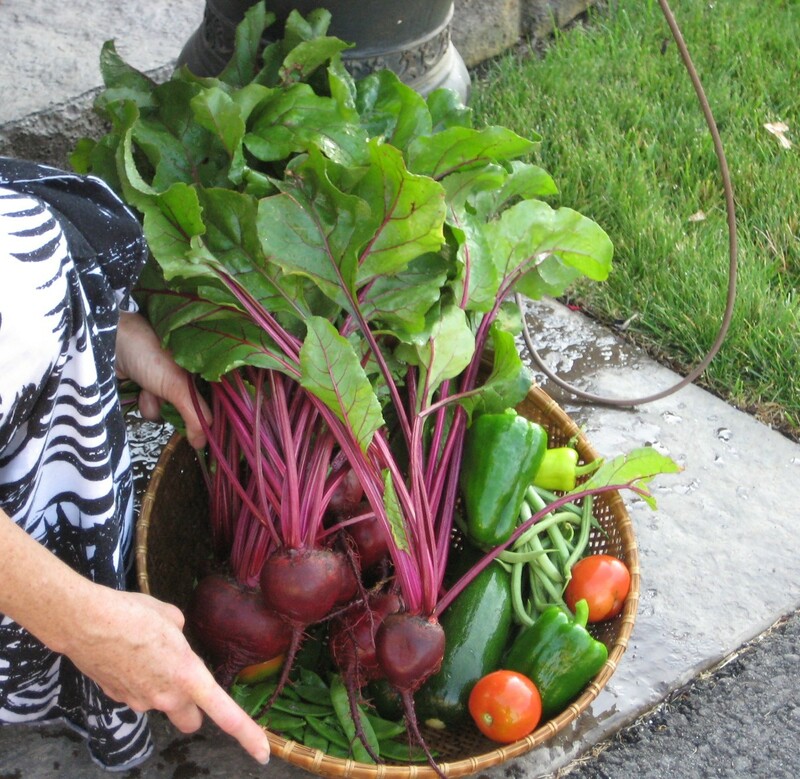 Even a patio pot can grow great tomatoes and all types of vegetables. You will however, need a pot big and deep enough to hold enough soil and moisture to provide consistent growth (minimum size should be 16’ wide x 16 deep with good drainage). Note: Double your crop simply by doubling your rows of the same type or similar size plant. I plant rows about 30” apart to allow space to till, then another vegetable row (of compatible size) just 6” away and then 30” again and repeat. Natural insect control is not fool-proof. Healthy soil is the best form of insect control. Good natural fertilizer (manure) worked into the soil early in the season is important. The best types of manure in order of quality are: rabbit, lama, cow, horse. Chicken manure should only be used in small amounts because it can burn the plants. It is so nitrogen rich that you will grow magnificent carrot and potato tops but have very small, anemic edible portions. Because of the diet and more efficient digestive process rabbit and lama provide very clean and balanced soil nutrition. Cow and horse manure is somewhat less desirable because of the enormous amount of weed and other seeds that will come with it but is most readily available. can you believe the size of those onions? Deer and rodents can be a big problem for rural gardeners. We have a lot of deer but have not had a problem with them. We put up a 5 strand electric fence less than 6’ high, powered by solar fence charger (paid $116.00 at Lowes Hardware. We then attach a few strips of tinfoil (coated with peanut butter) 8-10” long and then folded over the wire between posts. Deer are creatures of habit so when they are drawn to the strips and get a real good whack on their nose or tongue they don’t try to enter the garden anymore. Moles, mice and Voles are a country problem that I am finally getting a handle on. Since writing this article 2-3 years ago I have experimented with several successful ideas. I no longer mulch heavily between rows which offered perfect cover for the little creatures to do their damage. You tend to evaporate more irrigation and could have more weeds but the trade-off was worth it. Possibly the best deterrent to mice and voles was to place common mouse traps around my compost piles. I caught 75 mice through the winter. Mice breed 45 days after birth and will have 5-10 offspring per litter and up to 10 litters per year. Assuming half were females I figured I eliminated a potential 7500 mice. The results were virtually no loss of vegetables the following year. The moles hit us hard one year mowing down the rows of beets, carrots and potatoes like they had hit the mother lode. Since then we have alternated planting onions and garlic interspersed throughout the garden: six feet of carrots, then six feet of onions and so on with all the root vegetables. We have a rather large garden so you can gauge how long your sections might be. We also put a row of onions on the edge of the garden that seem to be the side the moles migrated from. That resulted in eliminating the problem. I should confess here that my garden is organic but the outside perimeter is a war zone and no remedy goes without consideration. Any sign of moles within 50’ perimeter of the garden are treated with mole bait. The trick is to find their tunnel. When you see a mole pile of dirt, drop a heavy rod (crowbar) about 18” outside of the pile and continue poking holes until you feel the bar drop into and thud against the bottom of tunnel. It is unmistakable. Then pour the mole bait in the hole and go on to the next pile. Because the bait is underground no other pet or bird will be affected. Moles never surface and when they die in the tunnel the other moles tend to abandon the tunnel for a while. Actually one of my favorite mole controls methods was developed by a friend who sticks his BBQ propane tank hose in the hole and lets propane run in for about 5 minutes (propane is heavy and goes downhill so start on the highest ground), then he pours a 4-5’ trail of gasoline leading to the hole as a fuse and lights the trail. The result is flame shooting out of numerous holes and that colony is decimated. Weed control made easy. The key here is to never let the weeds get going. If they are allowed to go to seed you will be fighting an uphill battle that would discourage anybody. Here’s the drill: Apply fertilizer (manure) and till the ground as early in the spring as possible. Wait two-three weeks and just before you plant your early crops, till again when you notice tiny weeds beginning to grow. Don’t worry about being “late” planting, even mid to late May will be just fine in the Inland Northwest. 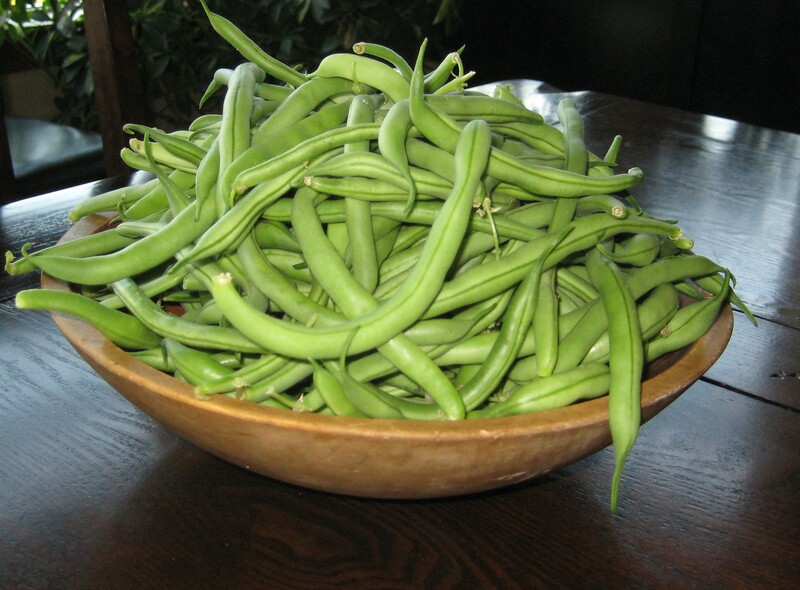 In fact, your garden will likely catch up and surpass the early birds because our cold, rainy April nights will often cause many of the seeds to rot or stunt. Note: Till early and often for the first month, weed and thin your rows while weeds are small and the vegetables have enough root to not be disturbed. Once the plants are 6-8 inches high in late May or early June you will be pulling he occasional weed here and there as you walk through the rows. By July you won’t be weeding at all. Tip: Don’t over water but be consistent. 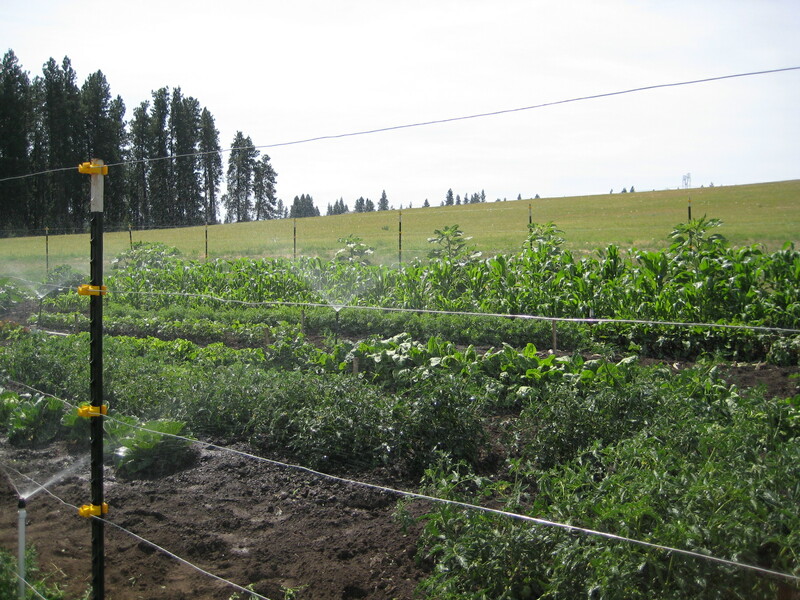 Timed and targeted drip or soaker irrigation will also greatly reduce weeds. 7. Organic seeds –hybrid- Heirloom Organic seeds have been raised in naturally prepared soil free of any chemical herbicides or insecticides. Hybrids are selectively bred seeds for perhaps better yield, color or size. However , their seeds cannot reproduce…they are a one-shot crop and because they have in some instances been genetically engineered (GMO genetically modified organisms) they may carry some long-term health hazards. Heirloom seeds are as close to the original form possible and often will vary in size and color. Some heirloom tomatoes we have raised are deep red and dark green in places and by far some of the sweetest, juiciest tomatoes we have ever eaten. Three Sisters Strategy This idea, created by Native Americans, can maximize the smallest space in most any city landscape area. Simply plant corn as you normally would, ensuring that rather than sowing in rows it is planted in groups to increase cross-pollination. After several weeks, when the corn stalks are thriving, beans can be planted in the soil around the bases of the corn stalks. Squash, cucumber and pumpkin seeds and can also be planted in the patch, a little further out from the beans and corn, completing the three sisters’ bed. Raised Beds will allow you to squeeze far more out of a small garden space than most any other growing method. Raised beds eliminate hardened paths, walkways, and vacant gaps from between the rows of plants, allowing you to grow more plants in areas that would normally go unused. The growing beds are just wide enough to allow you to work them from the narrow surrounding paths without a need to actually walk on the garden bed. Raised beds don’t have to be fancy and they don’t have to be very high, just big enough that all parts can be reached from the perimeter. You can get as fancy with the shape, size and height as you would like. 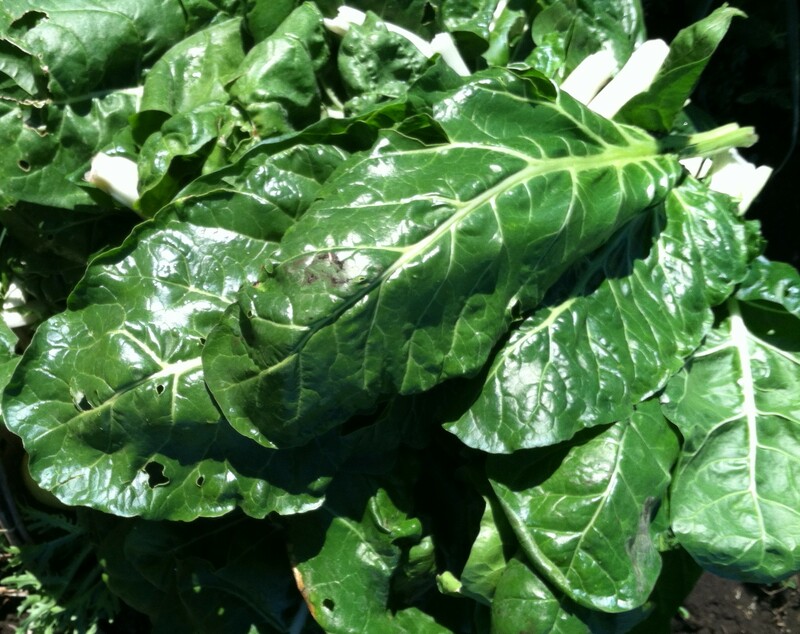 Plant High Yield Small Plants Crops like leaf lettuce, kale, arugula, chives and chard can be continually harvested by just cutting them down to just above ground level. They will quickly grow back in a few days and be harvested again. 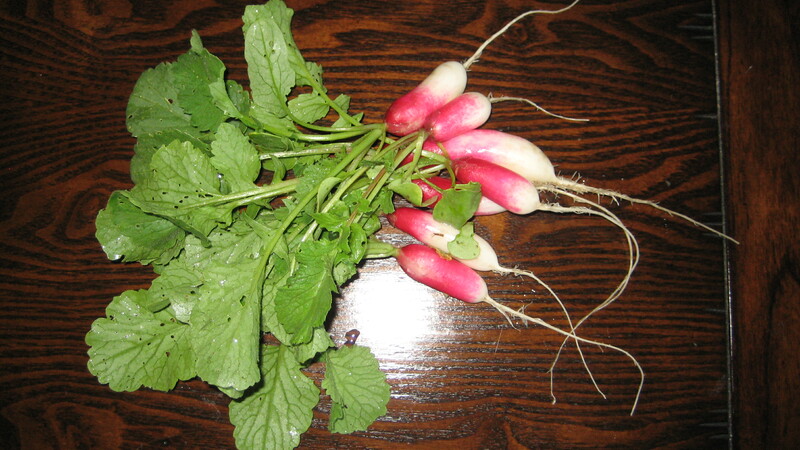 Radishes can be harvested and replanted every three or four weeks through fall. Carrots and beets can be replanted several times through the summer. A couple of tomato plants can be strung up so that they grow vertical, being careful to not get in the way of your watering system or maximum sun exposure. Go vertical whenever possible to maximize small area yields by building trellises, using existing fences or even some trees. Plant a one-pot vegetable garden if you are really short of space here is a plan for any patio or deck. Find a large pot, galvanized tub, old whiskey barrel, etc. and plant a variety of veggies. 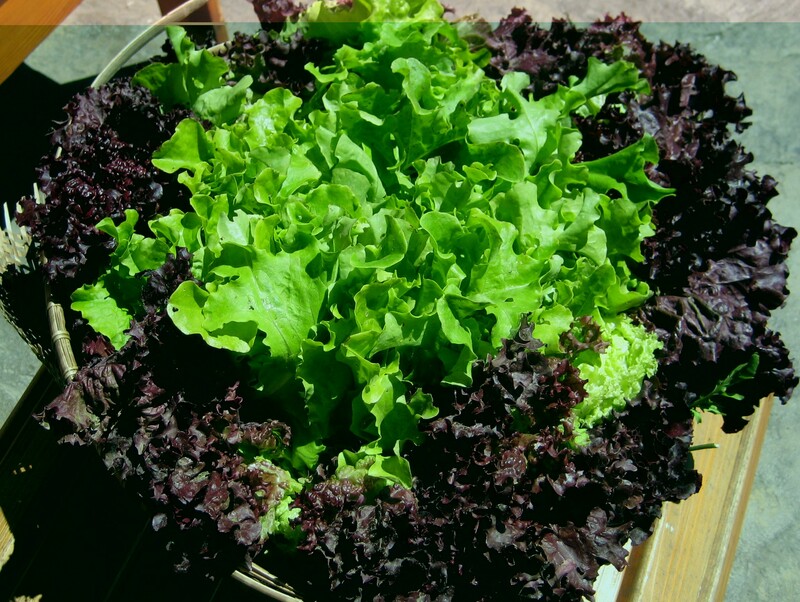 You might want one pot to be a salad mix of red leaf lettuce, arugula, tomato, bell pepper and chives. Another could be potatoes or carrots and beets. With the potatoes you can put a little gravel on the bottom for drainage and 4” of soil where you lay your seed potatoes and cover with about 6” of soil, press down the soil. When the plants are about 6” high lay another later of seed potatoes down and cover with 6” more of soil. Repeat this layering system until you get to the top of your tub. You will be surprised at the tub full of potatoes you have in the fall. Note: seed potatoes are any potatoes you desire. Each potato should have 3-4 good eyes and each eye will produce many potatoes. Cut them up in big chunks, each with an eye. Plant 5-6” deep. Note: As with all small plot gardens you can plant very tightly packed rows. Another high yield tip is to do broadcast rows meaning instead of a single row of seeds you spread the seeds over say 2” to 6” wide area. Here is where you can get artistic by creating patterns like a checkerboard squares of differing colors and textures or any other design you can think of. Natural Pesticides Properly fertilized soil is the foundation for natural pest control. Ladybugs are a highly helpful natural pesticide to have in your garden, feeding on a myriad of insect unwanted insects including aphids if you ever see little alligator like insects around your garden, leave them be! These are the larval stage of ladybugs. Praying Mantis and Green Lacewings are other wonderful pest eating insects that can literally eat their weight in pesky insects almost daily. Birds do a pretty good job as well. Small clumps of garlic or Marigold flowers interspersed in your garden are also helpful in warding off harmful insects and provide a little artistic flair. What a fun post to wake up to this morning! I have a question though. A couple of weeks ago, we tilled least years’ compost pile into the garden. It was high in chicken manure. Is there something else that we should add at this point to stabilize the soil or when would be a good time to test it? Hi Stacey, The best way to reduce excessive nitrogen in your garden is to mix in a fair amount of a high carbon material like sawdust. It takes a lot of nitrogen to break down the sawdust which will be released back gradually into the soil. Chicken manure is through the roof in nitrogen and has to be used sparingly in most gardens, Years back I used it heavily one spring and ended up with enormous tops and green leaves but little to no vegetables. Should be able to find some locally. certainly like your web-site but you need to test the spelling on several of your posts. Many of them are rife with spelling issues and I in finding it very bothersome to tell the truth however I will certainly come again again. Thanks for the head’s up! I sure appreciate it.